Aimpoint, the originator and worldwide leader in red dot sighting technology, has introduced the ACRO P-1 pistol sight to the US market. This compact sight design was developed primarily for use on handguns but offers broad applications for other firearms as well. 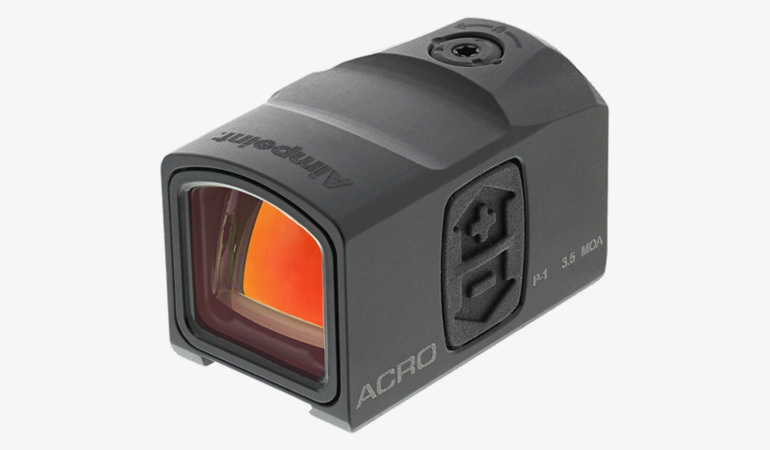 The Acro P-1 sight can also be used on rifles, shotguns, and carbines, or as a compact electronic backup sight.